Statham grew up in Bartlesville OK and graduated from high school in 1952. 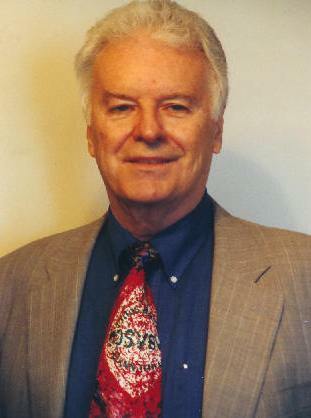 He attended Northeastern A&M Junior College, Miami of Oklahoma, and Oklahoma State. Before coming to Raleigh he worked for Millard Buck. 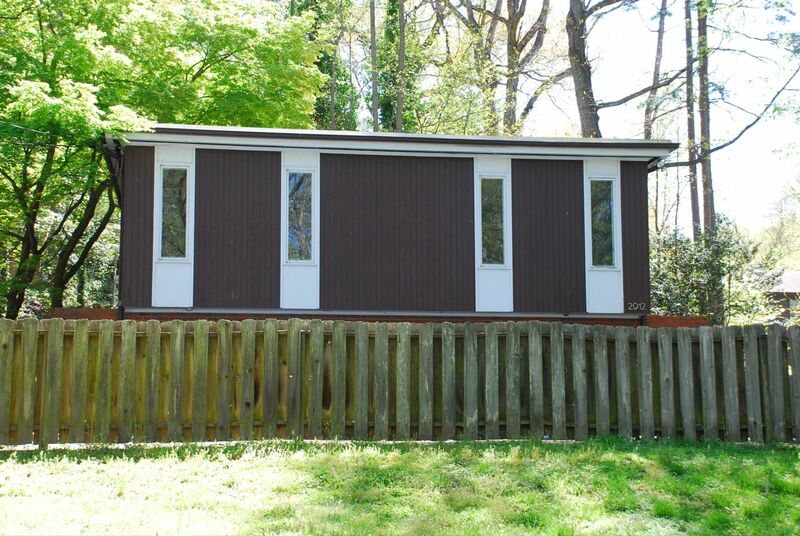 From 1956 to 1960 he attended the NCSU School of Design and had a design business on the side, even as a student. Statham tells the story of being in an early studio with a French design professor. Statham presented his project using metal trusses - which the professor had not yet covered in class. The professor asked, "Mr. Statham, why did you use these materials?" Statham produced a sketch and said "the architect of this shopping center (on Hillsborough Street) used them very successfully." The professor said, "What makes you think you're as qualified as the architect of this shopping center?" Whereupon Statham replied, "I am the architect of this shopping center." From 1957 to 1958, he worked for Terry Waugh and Raymond Sawyer building models including the 26-year Master Plan for NCSU. 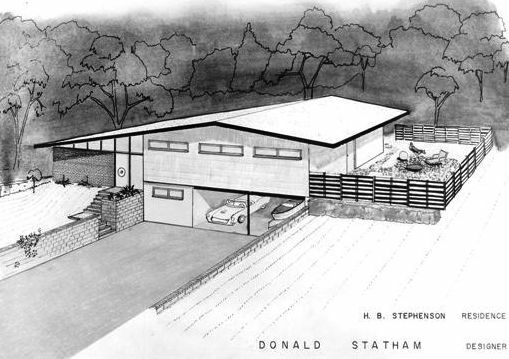 Statham freelanced for architects Ross Schumaker, Frank Simpson, and Bruce Cauthern through 1962. 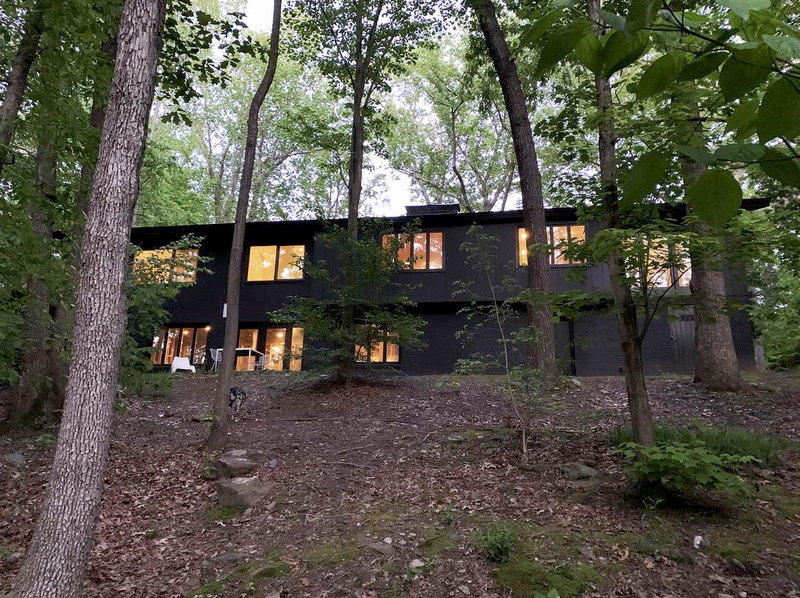 At that point he began designing and building Modernist houses as partner and VP of S&S Construction with Harold Stephenson. Statham also had a partnership with Charles Shaw called Bryn Mawr Builders. S&S went out of business in 1964 and the houses under construction were foreclosed on by First Citizens Bank. Statham moved back to Bartlesville OK in 1964 and formed Ross/Statham until 1968. 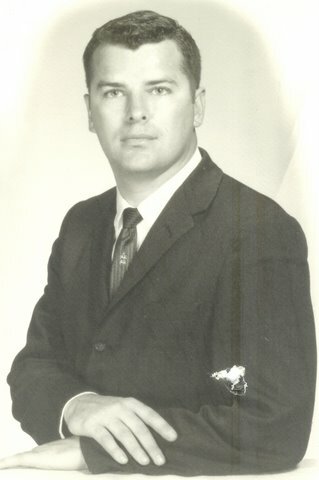 From 1968 to 1972 he ran Don Statham and Associates then moved in 1972 to work for Don Cowan, Starcrete International, and Matthew Bodo in St. Petersburg FL until 1981. Next, Dallas TX, where he worked for Gary Adams and Partners through 1987. The last street in the Raleigh subdivision containing Airline and Sandia Drives is Debra Drive, named after his daughter Debra Kay Statham. 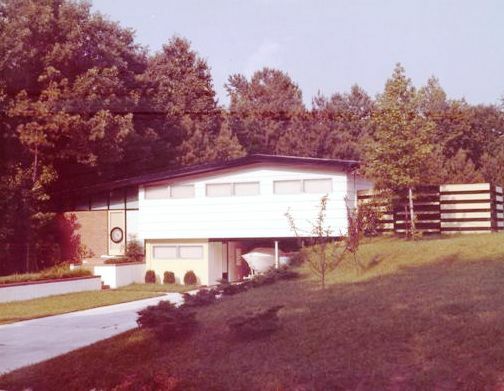 1960 - The Harold B. and Betty W. Stephenson Residence, 1406 Creech Road, Garner NC. Sold to Godwin Building Supply. 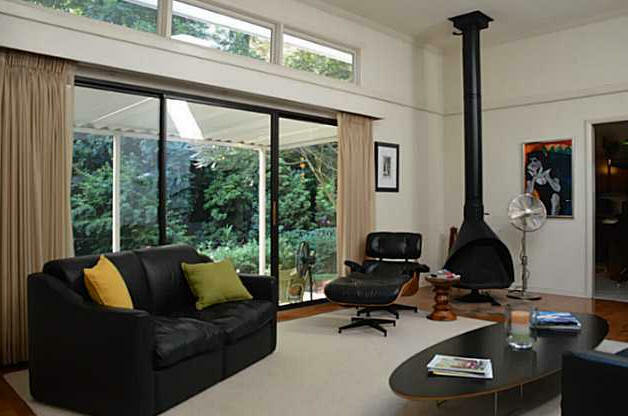 Sold in 1969 to Fred W. and Joyce Piper. 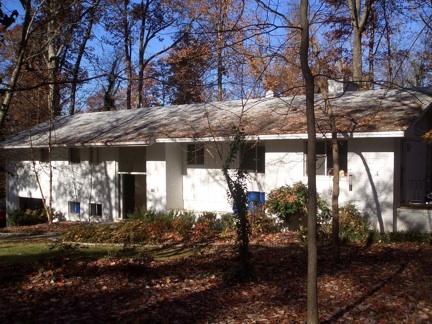 Sold in 1976 to Margaret B. Coleman. 1962 - The B. A. Jones House, 2912 Sandia Drive, Raleigh. Harry Weiss bought it in 1964 out of foreclosure from Dixie Development Company. The builder was S&S Construction, a partnership between Statham and Harold Stevenson. Bottom photo by Leilani Carter. Sold for the first time by Weiss in 2017 to Michelle and Jon C. Parsley. 1962 - The Frank B. and Patricia Y. 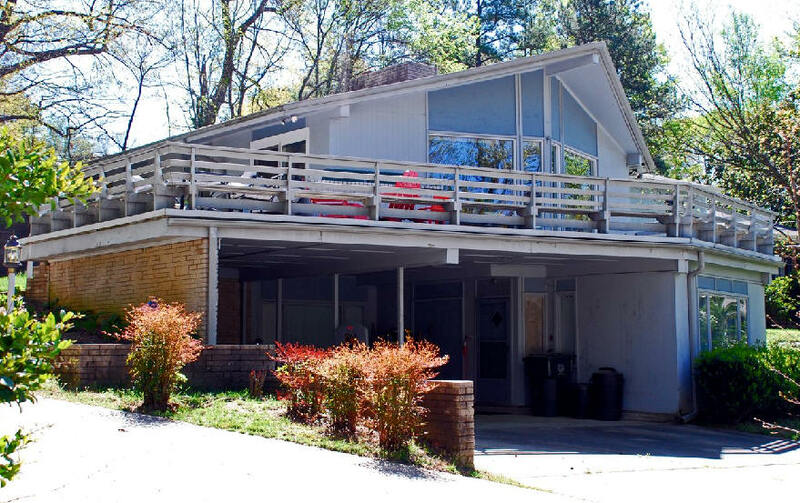 Day Residence, 4914 Rembert Drive, Raleigh. Sold in 1988 to Jack Preston who still owned it as of 2017. 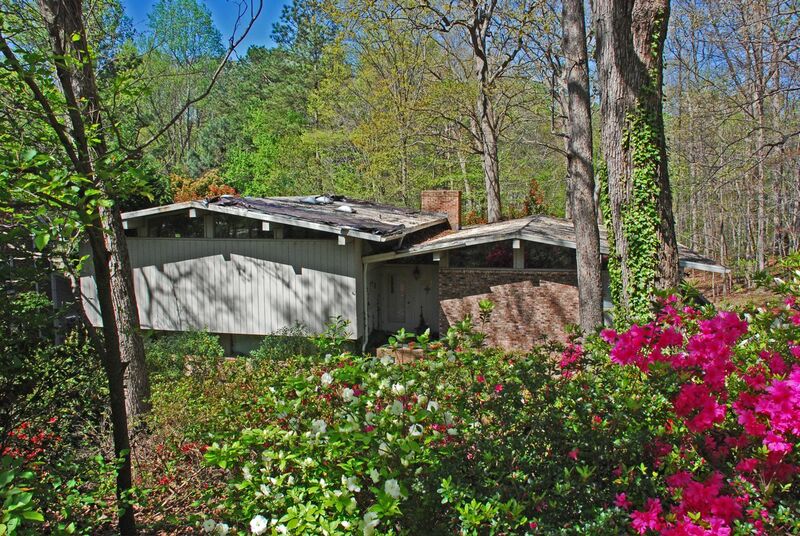 It was the 1964 Raleigh Garden Club Tour House of the Year. The roof has steel beams and has solidly withstood many storms. Bottom three photos by John Suddath. 2018 renovation designed by Brian Shawcroft, built by David Ballard. 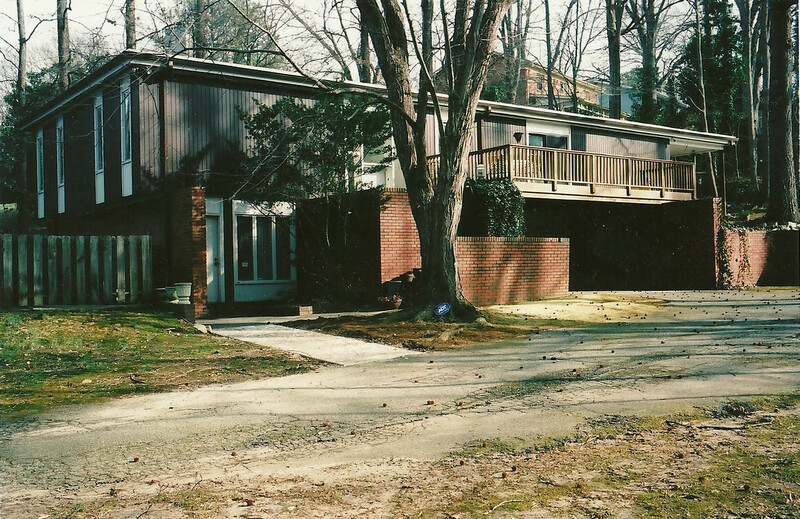 1962 - 3004 Sandia Drive, Raleigh. 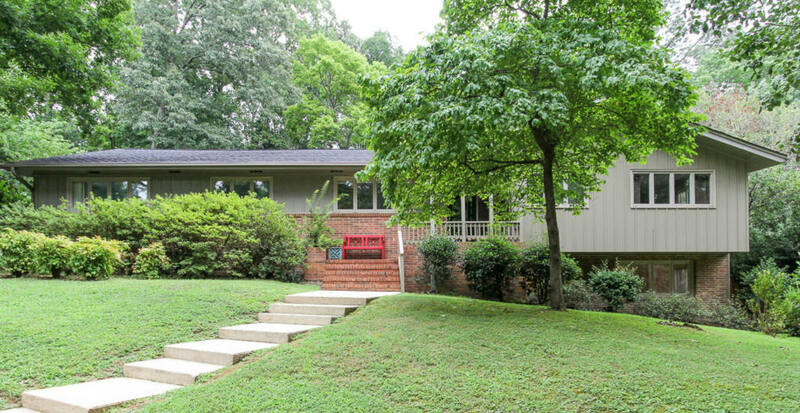 Sold in 1965 to J. Arthur and Melba S. Jones. Sold in 1995 to Sandra and James Jones. Sold in 2001 to Christopher Hunter. 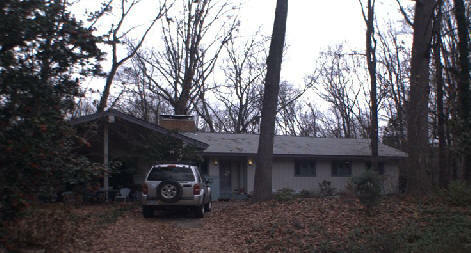 Sold in 2005 to Joseph Kelley and Jennifer Quirk. Photo by Leilani Carter. 1962 - 2408 Rockridge Court, Raleigh. Sold in 1987 to Howard and Pamela Buckholz. Sold in 1980 to Robert P. and Katherine M. Holding. 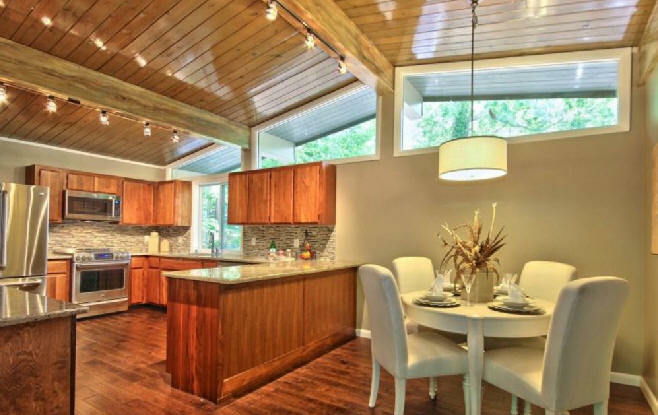 Sold in 1991 to John F. Monehan and Karen Lynn Johnston. Sold in 1993 to Karen Lynn Johnston. Sold in 1995 to Stuart and Mary Deibel. For sale in 2018. 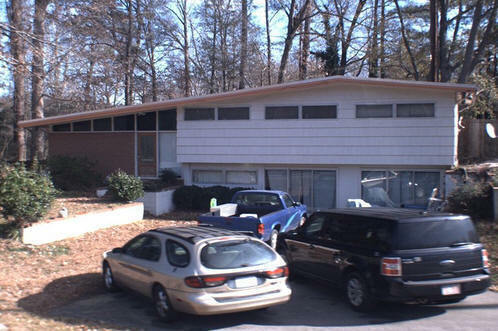 1963 - The Solomon and Rosalie Hersh Residence, 2314 Weymouth Court, Raleigh. 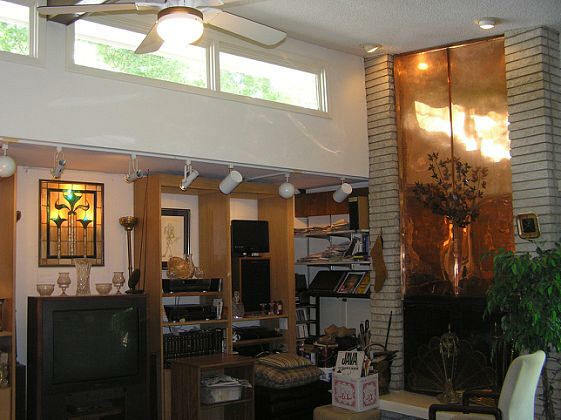 Sold in 1999 to Allen M. and Kim Weiss. 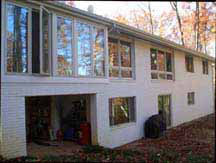 Sold in 2006 to Elizabeth and Brian Gullette. 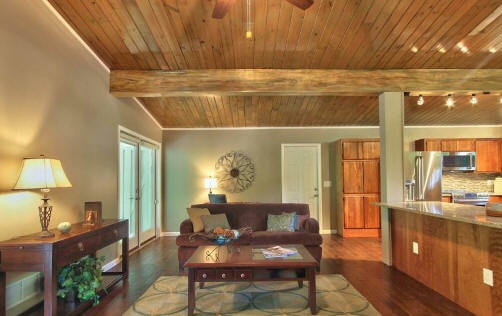 Sold in 2013 to Jennifer Moore and Raleigh Myers. 1963 - 3700 Swann Street, Raleigh. Sold at auction in 1964 to First Citizens Bank. 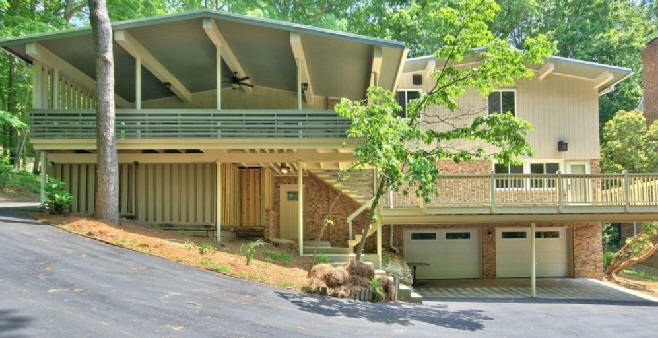 Sold in 1966 to Jerald H. and Shirley M. Tucker. 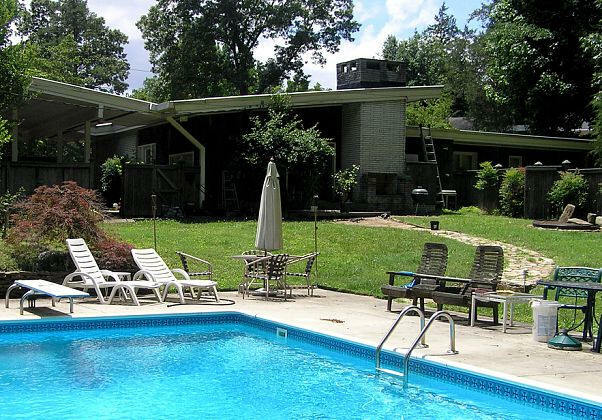 Sold in 1972 to Leonard and Katherine E. Smith. Sold in 1988 to Murray H. and Patsy A. Bolt. 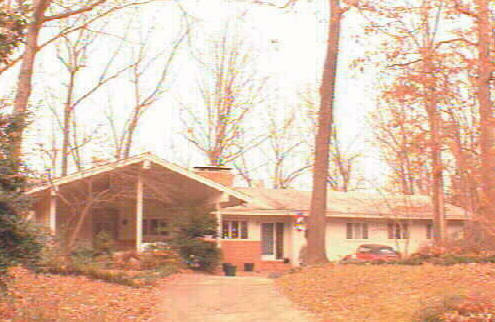 Sold in 1991 to John R. and Joan E. Davidson. 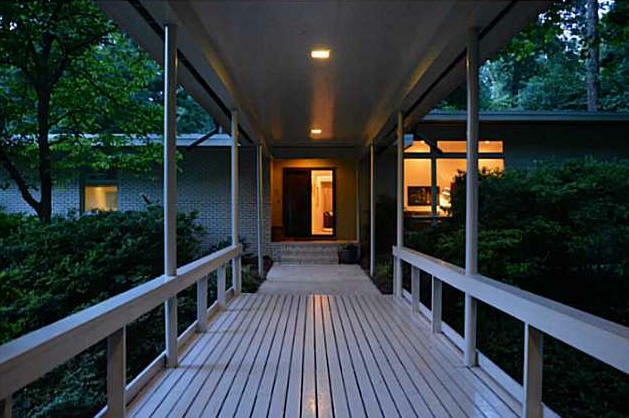 Sold in 1999 to Gilbert F. and Jane Jarrell, Jr. Sold in 2014 to Katherine B. Moore. 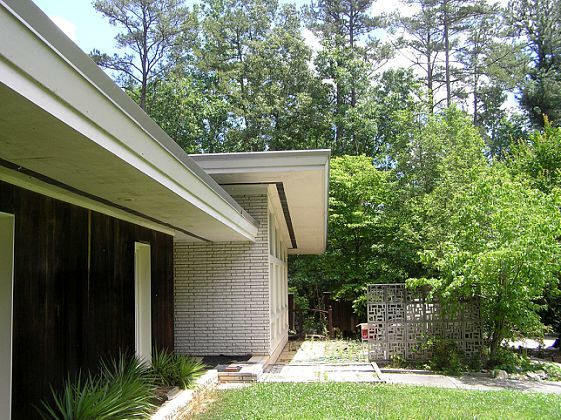 1963 - The Herbert (Herb) and Sophie Friedlander House, 2409 Rockridge Court, Raleigh. 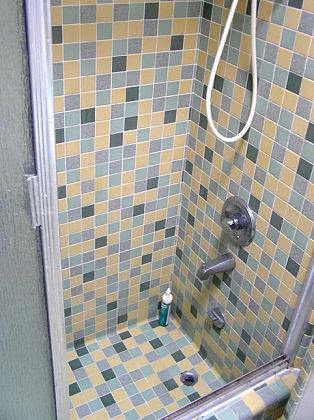 Remodeled in 1975. Sold in 1981 to Christopher D. and Sally Baker Jr. Elouise England was added as an owner in 1984. Sold later in 1984 to David P. Coward. Sold in 2003 to Cymbre Q. Raub. Sold in 2013 to William Dodge and Shelley Zuehlke Dodge. Renovation 2013-2018 with design by Raleigh Architecture & Construction Company. Landscape architect, Gregg Bleam. 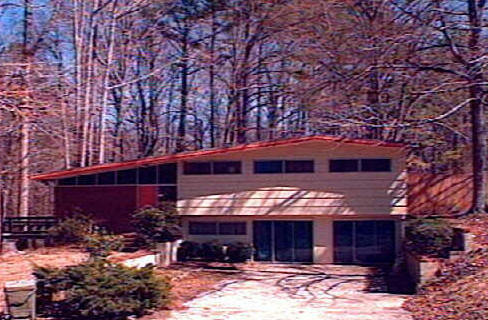 1964 - The Donald L. Dean House, 3005 Sandia Drive, Raleigh. Sold in 1979 to Oren F. and Sue J. Painter. Sold in 1990 to Homer L. Monk. 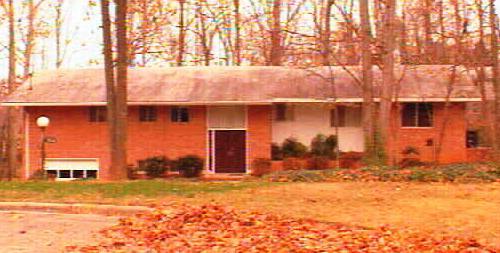 Sold in 1998 to Sandra L. Jones. Foreclosed 2012. 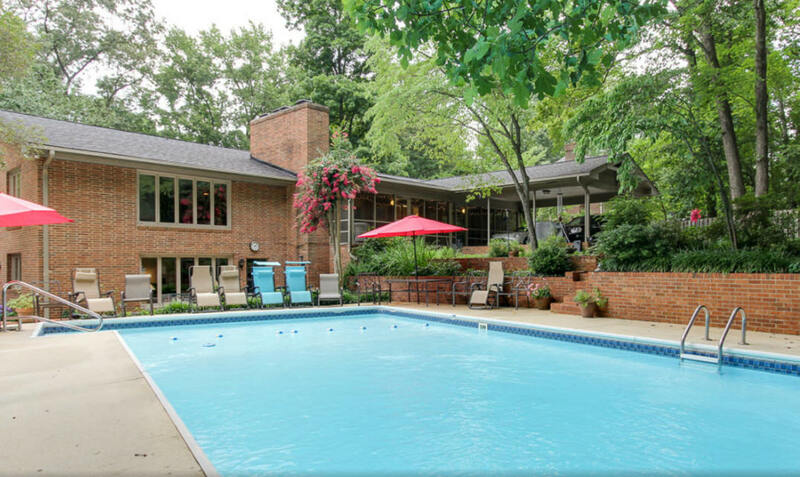 Sold to First MTG Strategies Group who did a complete renovation. Top photo by Leilani Carter. Sold in 2015 to Ilenana Cazan and Lobo Ruben. Somewhere in North Hills, Raleigh NC. Do you know where it is? Sources include: Don Statham, Patricia Day, Harry Weiss, Kim Weiss, Regan Burns, Ryan Frank.